? Bioinformatics and the Internet (A. Baxevanis).
? The NCBI Data Model (J. Ostell, et al.).
? The GenBank Sequence Database (I. Karsch-Mizrachi & B. Ouellette).
? Submitting DNA Sequences to the Databases (J. Kans & B. Ouellette).
? Structure Databases (C. Hogue).
? Genomic Mapping and Mapping Databases (P. White & T. Matise).
? Information Retrieval from Biological Databases (A. Baxevanis).
? Sequence Alignment and Database Searching (G. Schuler).
? Creation and Analysis of Protein Multiple Sequence Alignments (G. Barton).
? Predictive Methods Using DNA Sequences (A. Baxevanis).
? 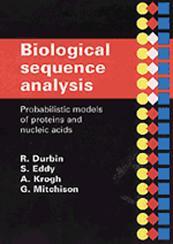 Predictive Methods Using Protein Sequences (S. Banerjee-Basu & A. Baxevanis).
? Expressed Sequence Tags (ESTs) (T. Wolfsberg & D. Landsman).
? Sequence Assembly and Finishing Methods (R. Staden, et al.).
? Phylogenetic Analysis (F. Brinkman & D. Leipe).
? Comparative Genome Analysis (M. Galperin & E. Koonin).
? Large-Scale Genome Analysis (P. Meltzer).
? 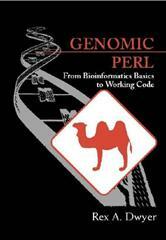 Using Perl to Facilitate Biological Analysis (L. Stein).
? Bioinformatics of Membrane Proteins.
? SNAPping up Functionally Related Genes Based on Context Information.
? Cluster Analysis and its Applications to Gene Expression Data.
? Statistical Methods for Analyzing Gene Expression Data for Cancer Research.
? Proteomics in Biological Research.
? The Challenge to Make Proteins Speak.
? Construction and Prediction of Protein-Protein Interaction Maps.
? 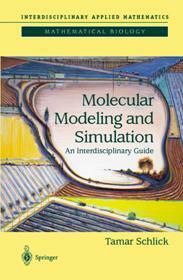 Bioinformatics, Cellular Flows, and Simulation.
? Graph-based Analysis of Metabolic Networks.
? Orphan Protein Function and its Relation to Glycosylation. 1. Biology in the Computer Age ? 2. Computational? Approaches to Biological Questions? 3. Setting Up Your Workstation ? 4. Files and Directories in Unix ? 5. Working on a Unix System ? 6. Biological Research on the Web ? 7. Sequence Analysis, Pairwise Alignment, and Database Searching ? 8. Multiple Sequence Alignments, Trees, and Profiles ? 9. Visualizing Protein Structures and Computing Structural Properties? 10. Predicting Protein Structure and Function from Sequence? 11. Tools for Genomics and Proteomics ? 12. Automating Data Analysis with Perl ? 13. Building Biological Databases ? 14. Visualization and Data Mining ? Chapter 1. 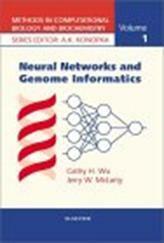 Neural Networks for Genome Informatics. PART II. Neural Network Foundations. Chapter 2. Neural Network Basics. Chapter 3. Perceptrons and Multilayer Perceptrons. Chapter 4. Other Common Architectures. Chapter 5. Training of Neural Networks. PART III. Genome Informatics Applications. Chapter 6. Design Issues - Feature Presentation. Chapter 7. Design Issues - Data Encoding. Chapter 8. Design Issues - Neural Networks. Chapter 9. Applications - Nucleic Acid Sequence Analysis. Chapter 10. Applications - Protein Structure Prediction. Chapter 11. Applications - Protein Sequence Analysis. PART IV. Open Problems and Future Directions. Chapter 12. Integration of Statistical Methods into Neural Network Applications. Chapter 13. Future of Genome Informatics Applications. 2. Machine-Learning Foundations: The Probabilistic Framework ? (J Sponer, P. Hobza, J. Leszczynski). (M. Orozco, E. Cubero, X. Barril, C. Colominas, F.J. Luque). (M. Aida, M. Kaneko, M. Dupuis). (M. Bansal, M. Ravikiran, S. Chowdhury). (G.J. Tawa, I.A. Topol, S.K. Burt). (W.A. Sokalski, P. Kedierski, J. Grembecka, P. Dziedonski, K. Strasburger). (J. Skolnick, A. Kolinski, A.R. Ortiz). (A. Pohorille, M.A. Wilson, C. Chipot, M.H. New, K. Schwieghofer). (N. Bodor, P. Buchwald, M.-J. Huang). 1. Grand challenges in computational biology (D.B. Searls). 2. A tutorial introduction to computation for biologists (S.L. Salzberg). 3. 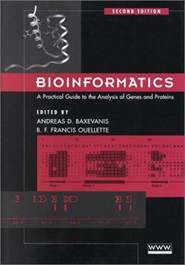 An introduction to biological sequence analysis (K.H. Fasman, S.L. Salzberg). 4. An introduction to hidden Markov models for biological sequences (A. Krogh). 5. Case-based reasoning driven gene annotation (G.C. Overton, J. Haas). 6.? Classification-based molecular sequence analysis (D.J.States, W.C. Reisdorf, Jr.) 7. Computational gene prediction using neural networks and similarity search (Y. Xu, E.C. Uberbacher). 8. Modeling dependencies in pre-mRNA splicing signals (C.B. Burge). 9.? 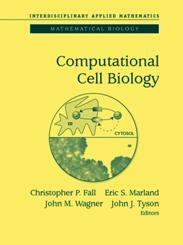 Evolutionary approaches to computational biology (R.J. Parsons). 10. Decision trees and Markov chains for gene finding (S.L. Salzberg). 11. Statistical analysis of protein structures: using environmental features for multiple purposes (L. Wei, J.T. Chang, R.B. Altman). 12. Analysis and algorithms for protein sequence-structure alignment (R.H. Lathrop et al.). 13. THREADER: protein sequence threading by double dynamic programming (D. Jones). 14. 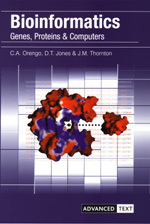 From computer vision to protein structure and association (H.J. Wolfson, R. Nussinov). 15. 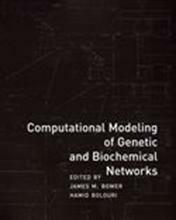 Modeling biological data and structure with probabilistic networks (S. Kasif, A.L. Delcher). 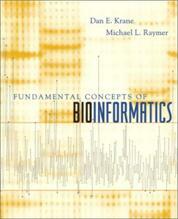 Appendix A: Software and databases for computational biology on the Internet. Appendix B: Suggestions for further reading in computational biology. Please contact your Regional Sales Office for a discount offer for larger orders. 3. MEME, MAST, and Meta-MEME: New Tools for Motif Discovery in Protein Sequences, Timothy L. Bailey et al. 4. Pattern Discovery and Classification in Biosequences, Jason T. L. Wang et al. 7. Representation and Matching of Small Flexible Molecules in Large Databases of 3D Molecular Information, Isidore Rigoutsos et al. 10. Overview: A System for Tracking and Managing the Results from Sequence Comparison Programs, David P. Yee et al. 11. RNA Structure Analysis: A Multifaceted Approach, Bruce A.
? 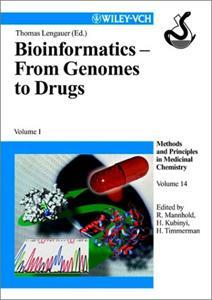 From Genomes to Drugs with Bioinformatics - An Overview.
? Structure, Properties and Computer Identification of Eukaryotic Genes.
? Analyzing Regulatory Regions in Genomes.
? Homology Modeling in Biology and Medicine.
? Protein-Ligand Docking in Drug Design.
? Modelling Protein-Protein and Protein-DNA Docking.
? 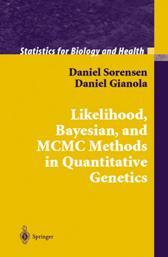 Appendix: Algorithmic Methods in Bioinformatics.
? Integrating and Accessing Molecular Biology Resources.
? Bioinformatics Support of Genome Sequencing Projects.
? Analysis of Sequence Variations.
? Target Finding in Genomes and Proteomes.
? Screening of Drug Databases.
? An Integrated Service Approach to Biological Sequence Databases (K. Heumann, et al.).
? Statistical Analysis of DNA Sequences (H. Herzel, et al.).
? A Consensus Match Scoring System that is Correlated with Biological Functionality (K. Quandt, et al.).
? PROTEIN SEQUENCES AND STRUCTURES.
? Statistical Significance of Local Alignments with Gaps (M. Vingron & M. Waterman).
? An Algorithm for the Protein Docking Problem (H.-P. Lenhof).
? FROM MOLECULES TO CELL METABOLISM.
? Force Field Minimization: Domain Decomposition, Positive Definite Functions, and Wavelets (E. Schmitt).
? Simulation and Animation of Intracellular Diffusion (H.-G. Lipinski). This survey of computational molecular biology covers traditional topics such as protein structure modeling and sequence alignment, and more recent ones such as expression data analysis and comparative genomics. It combines algorithmic, statistical, database, and AI-based methods for studying biological problems. 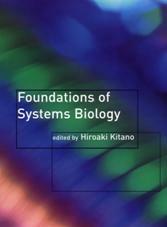 The book also contains an introductory chapter, as well as one on general statistical modeling and computational techniques in molecular biology. Each chapter presents a self-contained review of a specific subject. omputer science and mathematics are transforming molecular biology from an informational to a computational science. Drawing on computational, statistical, experimental, and technological methods, the new discipline of computational molecular biology is dramatically increasing the discovery of new technologies and tools for molecular biology. 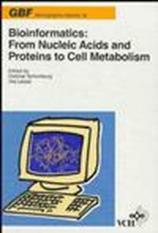 This book focuses on current computational approaches to understanding the complex networks of metabolic and gene regulatory capabilities of the cell. The contributors look well beyond the state of the art in computational biology to anticipate what biological research will be like in a post-genomic world. 7 x 9, 295 pp., 68 illus. 1. NCBI: Integrated Data for Molecular Biology Research; K.
2. Hovergen: Comparative Analysis of Homologous Vertebrate Genes; L. Duret, et al. 3. WIT/WIT2: Metabolic Reconstruction Systems; R. Overbeek, et al. Lessons Learned; P.D. Karp, M. Riley. 5. KEGG: From Genes to Biochemical Pathways; M. Kanehisa. 6.OMIM: Online Mendelian Inheritance in Man; A.F. Scott, et al. 7. GDB: Integrating Genomic Maps; S.
8. HGMD: The Human Gene Mutation Database; M. Krawczak, et al. 9. Senselab: Modeling Heterogenous Data on the Nervous System; P. Nadkarni, et al. 10. The Mouse Genome Database and The Gene Expression Database: Genotype to Phenotype; J.T. Eppig, et al. 11. The Edinburgh Mouse Atlas: Basic Structure and Informatics; R.A. Baldock, et al. 12. FlyBase: Genomic and Post-Genomic Viewpoints; The FlyBase Consortium. 13. MaizeDB: The Maize Genome Database; M. Polacco, E. Coe. 14. AGIS: Using the Agricultural Genome Information System; S.M. Beckstrom-Sternberg, D.C. Jamison. 15. CGSC: The E. coli Genetic Stock Center Database; M.K.B. Berlyn. Systems. 16. OPM: Object-Protocol Model Data Management Tools '97; V.M. Markowitz, et al. 17. 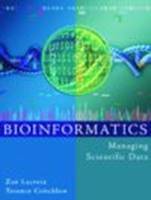 BioKleisli: Integrating Biomedical Data and Analysis Packages; S.B. Davidson, et al. 18. SRS: Analyzing and Using Data from Heterogenous Textual Databanks; P. Carter, et al. Environment for the Biological Sciences; R. Unwin, et al. 20. EBI: CORBA and the EBI Databases; K.
21. Biowidgets: Reusable Visualization Components for Bioinformatics; J. Crabtree, et al. 22. ACEDB: The ACE Database Manager; J. Thierry-Mieg, et al. 23. LABBASE: Data and Workflow Management for Large Scale Biological Research; N. Goodman, et al. 2. Information and the Kullback Distance. 3. Probabilistic Models and Learning. 6. Mixture Models and Profiles. 8. Learning of Markov Chains. 9. Markovian Models for DNA sequences. 10.Hidden Markov Models: an Overview. 11. HMM for DNA Sequences. 12. Left to Right HMM for Sequences. 14. Forward - Backward Algorithm. 15. Baum - Welch Learning Algorithm. 16. Limit Points of Baum - Welch. Introduction. Comparative Genomics; D. Sankoff, J.H. Nadeau. 1.Mechanisms. Cytogenetics, Molecular Genetics, Population Genetics. 2. Organelles: Mitochondria and Chloroplast. Rearrangements in Small Genomes. 3. Combinatorial Algorithms. A New Set of Problems for a New Kind of Data. 4. Prokaryotes. Genome Scrambling versus Functional Clustering. 5. Statistics. The Quantification of Comparative Mapping. 6. Nuclear Genomes. Evolutionary Inference from Comparative Mapping.
? G. Williams, Nucleic Acid and Protein Sequence Databases.
? R. Cotton, Phenotype, Mutation, and Genetic Linkage Databases and Their Links to Sequence Databases.
? R. Guigo,DNA Composition, Codon Usage, and Exon Prediction. W. Taylor, Properties of Amino Acids in Sequences.
? M. Gribskov, Sequence Comparison.
? J. Epplen, Simple Repetitive Sequences in DNA Databanks.
? P. Bucher, Gene Feature Identification.
? D. Higgins, Multiple Sequence Alignment.
? C. Ponting and D.J. Blake, Predicting the Evolution, Structure, and Function of Proteins from Sequence Information.
? D. Jones, Structure Databases and Structure Alignments.
? M. Gribskov, Bourne, Smith, Integrated Data Resource for Protein Kinases.
? R. Baldock, Gene Expression Databases.
? P.D. Karp, Pathways and Development.
? 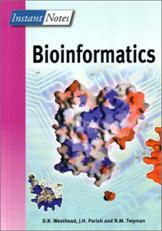 Chapter 1: Finding Out What Bioinformatics Can Do for You.
? 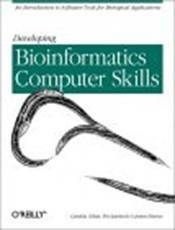 Chapter 2: How Most People Use Bioinformatics.
? Chapter 3: Using Nucleotide Sequence Databases.
? Chapter 4: Using Protein and Specialized Sequence Databases.
? Chapter 5: Working with a Single DNA Sequence.
? Chapter 6: Working with a Single Protein Sequence.
? Chapter 7: Similarity Searches on Sequence Databases.
? Chapter 8: Comparing Two Sequences.
? Chapter 9: Building a Multiple Sequence Alignment.
? Chapter 10: Editing and Publishing Alignments.
? Chapter 11: Working with Protein 3-D Structures.
? Chapter 12: Working with RNA.
? Chapter 13: Building Phylogenetic Trees.
? Chapter 14: The Ten Commandments When Using Servers.
? 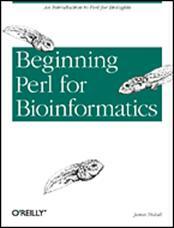 Chapter 15: Some Useful Bioinformatics Resources.
? 1. The Central Dogma.
? 9. Modeling and Simulation.
? What is Bioinformatics and Structural Bioinformatics (R. Altman & J. Dugan).
? Fundamentals of Protein Structure (E. Scheeff & L. Fink).
? Fundamentals of DNA and RNA Structure (S. Neidle, et al.).
? Computational Aspects of High-Throughput Crystallographic Macromolecular Structure Determination (P. Adams, et al.).
? Macromolecular Structure Determination by NMR Spectroscopy (J. Markley, et al.).
? Electron Microscopy (N. Volkmann & D. Hanein).
? Molecular Visualization (J. Tate). SECTION II: DATA REPRESENTATION AND DATABASES.
? The PDB Format, mmCIF Formats and Other Data Formats (J. Westbrook & P. Fitzgerald).
? The Protein Data Bank (The PDB Team).
? The Nucleic Acid Database (H. Berman, et al.).
? Other Structure Based Databases (H. Weissig & P. Bourne).
? Protein Structure Evolution and the SCOP Database (B. Reddy & P. Bourne).
? The CATH Domain Structure Database (C. Orengo, et al.).
? Structural Quality Assurance (R. Laskowski).
? All-Atom Contacts: A New Approach to Structure Validation (J. Richardson).
? Structure-Structure Comparison and Alignment (I. Shinadyalov & P. Bourne). SECTION IV: STRUCTURE AND FUNCTIONAL ASSIGNMENT.
? Secondary Structure Assignment (C. Andersen & B. Rost).
? Identifying Structural Domains in Proteins (L. Wernisch & S. Wodak).
? Inferring Protein Function from Structure (G. Bartlett, et al.).
? Prediction of Protein-Protein Interactions from Evolutionary Information (A. Valencia & F. Pazos).
? Electrostatic Interactions (N. Baker & J. McCammon). SECTION VI: PROTEINS AS DRUG TARGETS.
? Principles and Methods of Docking and Ligand Design (J. Krumrine, et al.).
? Structural Bioinformatics in Drug Discovery (E. Fauman, et al.).
? The CASP Experiment and Its Findings (TBN).
? Homology Modeling (E. Krieger, et al.).
? Fold Recognition Methods (A. Godzik).
? Ab Initio Methods (D. Chivian, et al.).
? Prediction in 1D: Secondary Structure, Membrane Helices, and Accessibility (B. Rost).
? Structural Genomics (S. Burley & J. Bonanno).
? SECTION I: AN INTRODUCTION TO BIOINFORMATICS FOR THE GENETICIST.
? 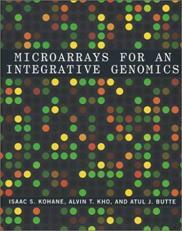 Introduction: The Role of Genetic Bioinformatics (Michael R. Barnes and Ian C. Gray).
? Internet Resources for the Geneticist (Michael R. Barnes and Christopher Southan).
? Human Genetic Variation ? Databases and Concepts (Michael R. Barnes).
? Finding, Delineating and Analysing Genes (Christopher Southan). SECTION II: THE IMPACT OF COMPLETE GENOME SEQUENCES ON GENETICS.
? Assembling a View of the Human Genome (Colin A. Semple).
? Mouse and Rat Genome Informatics (Judith A. Blake, Janan Eppig and Carol J. Bult).
? Genetic and Physical Map Resources - An Integrated View (Michael R. Barnes). SECTION III: BIOINFORMATICS FOR GENETIC STUDY DESIGN.
? From Linkage Peak to Culprit Gene: Following Up Linkage Analysis of Complex Phenotypes with Population-based Association Studies (Ian C. Gray).
? Genetic Studies from Genomic Sequence (Michael R. Barnes).
? SNP Discovery and PCR-based Assay Design: From In Silico Data to the Laboratory Experiment (Ellen Vieux, Gabor Marth and Pui Kwok).
? 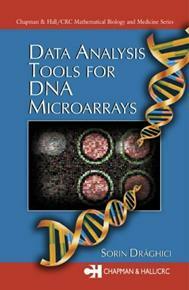 Tools for Statistical Analysis of Genetic Data (Aruna Bansal, Peter R. Boyd and Ralph McGinnis). SECTION IV: BIOLOGICAL SEQUENCE ANALYSIS AND CHARACTERIZATION.
? Predictive Functional Analysis of Polymorphisms - An Overview (Michael R. Barnes).
? Functional In Silico Analysis of Non-Coding SNPs (Thomas Werner).
? Amino Acid Properties and Consequences of Substitutions (Matthew J. Betts and Robert B. Russell).
? 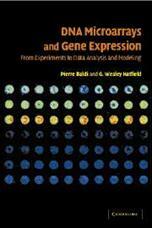 Gene Expression Informatics and Analysis (A. H. C. van Kampen, J. M. Ruijter, B. D. C. van Schaik, H. N. Caron and R. Versteeg).
? 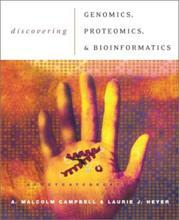 Proteomic Informatics (Jirtme Wojcik and Alexandre Hamburger).
? Concluding Remarks: Final Thoughts and Future Trends (Michael R. Barnes and Ian C. Gray).
? Whats Wrong with My Child?
? Why Can't I Just Take a Pill to Lose Weight?
? Why Can't We Cure More Diseases? 8 x 9, 326 pp., 82 illus.
? Now what? ; A. Drawing RNA cloverleaves; B. Space-saving strategies for alignment; C. A data structure for disjoint sets; D. A data structure for set operations. lang=EN '>Westhead, D.R., Parish, J.H., Twyman R.M.
? 8. 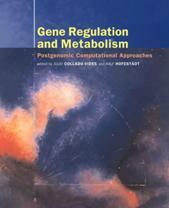 Systems biology: overview of regulatory, metabolic and signaling networks. 7 x 9, 320 pp., 68 illus. 7 x 9, 320 pp., 100 illus.
? PART I: ANALYZING DNA, RNA, AND PROTEIN SEQUENCES IN DATABASES.
? 2. Access to Sequence Data and Literature Information.
? 3. Pairwise Sequence Alignment.
? 4. Basic Local Alignmnet Search Tool (BLAST).
? 5. Advanced BLAST Searching.
? PART II: GENOMEWIDE ANALYSIS OF RNA AND PROTEIN.
? 6. Bioinformatic Approaches to Gene Expression.
? 7. 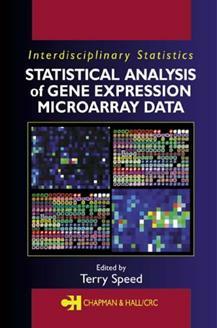 Gene Expression: Microarrays Data Analysis.
? 8. Protein Analysis and Proteomics.
? 10. Multiple Sequence Alignment.
? 11. Molecular Phylogeny and Evolution.
? PART III: GENOME ANALYSIS.
? 12. Completed Genomes and the Tree of Life.
? 13. Completed Genomes: Viruses.
? 14. Completed Genomes: Bacteria and Archaea.
? 16. Eukaryotic Genomes: From Parasites to Primates.
? 17. The Human Genome.